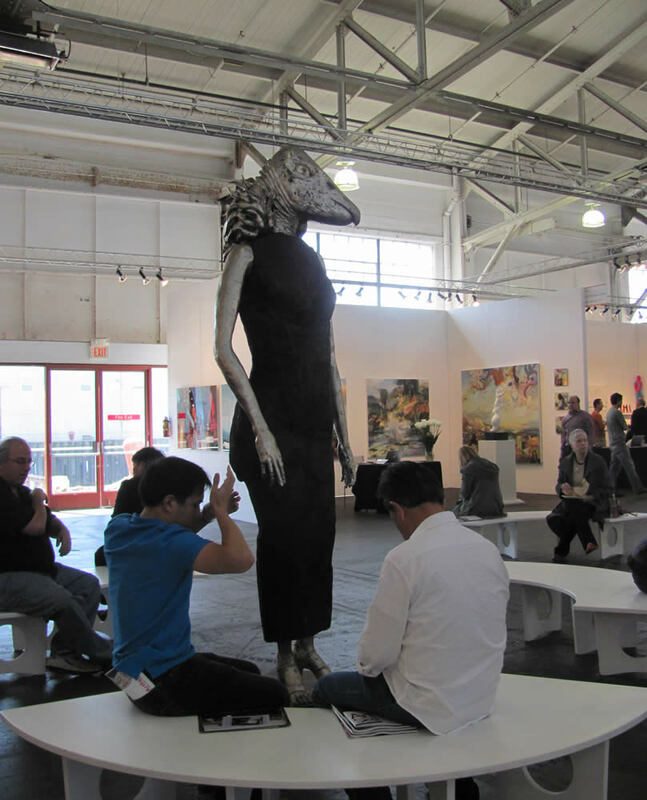 It's been about a month since three major art fairs descended on San Francisco all in a single weekend. 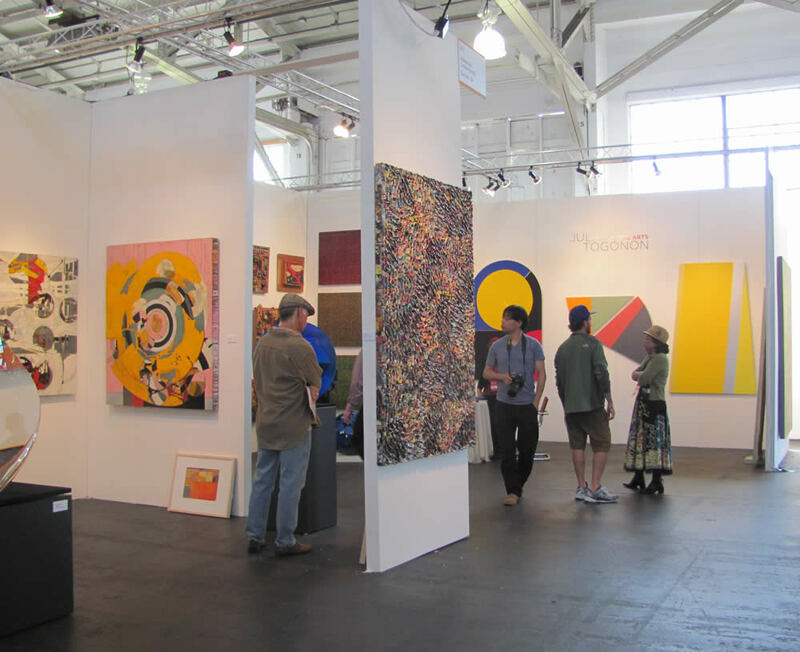 Bay Area art lovers were overloaded with the grand scale of the San Francisco Fine Art Fair at Fort Mason, the densely packed rows of ArtMRKT at the Concourse, and the quirky poolside hotel rooms of ArtPadSF. Now looking back with the perspective of a few weeks, it was ArtPadSF that stood out most as distinctive and tied to its host city. 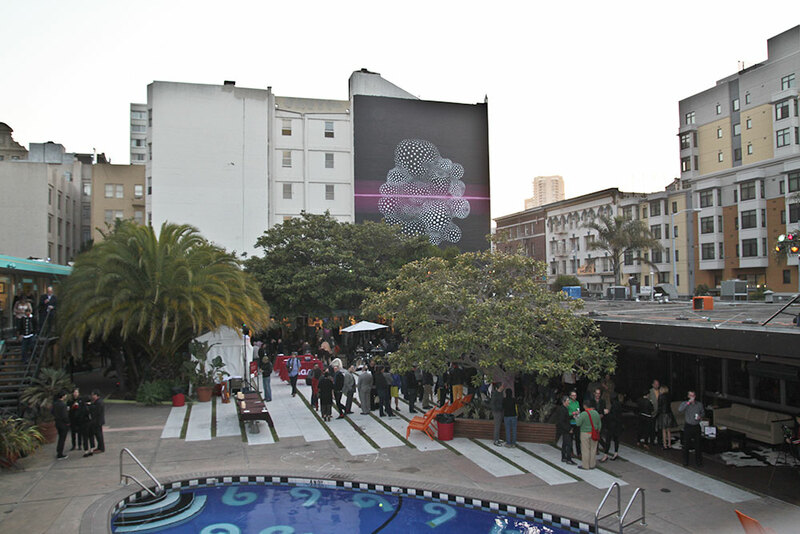 ArtPadSF took place at the Phoenix Hotel, a retro motor lodge that feels like it was transplanted from 1960s Southern California into the middle of San Francisco's Tenderloin district, an oasis with a pool and tropical decor wedged among the neighborhood's crowded buildings. 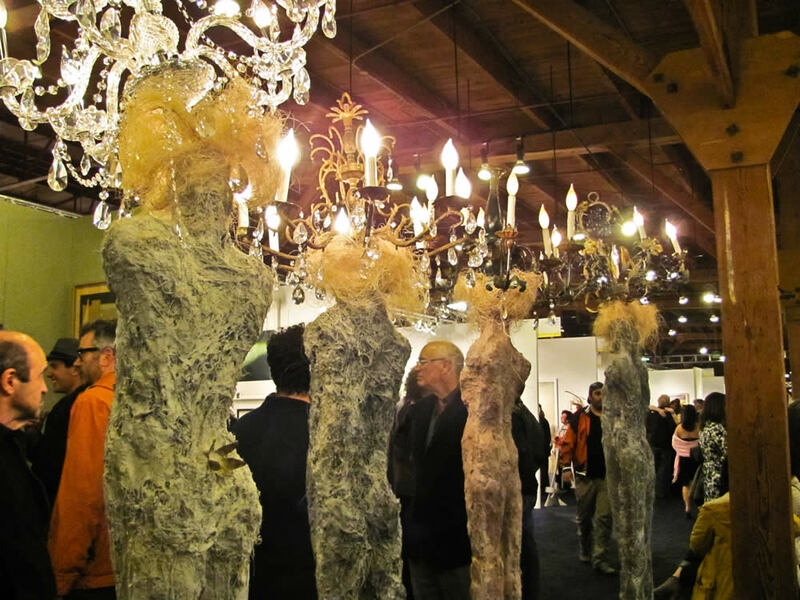 Rather than treating this location as simply a coincidence or a novelty, ArtPadSF fully embraced it. Indeed, during the opening speeches, a major theme was "Art and the Urban Environment". There are many ways to reflect the urban environment: architecture, geometry, street art, music, lifestyle. 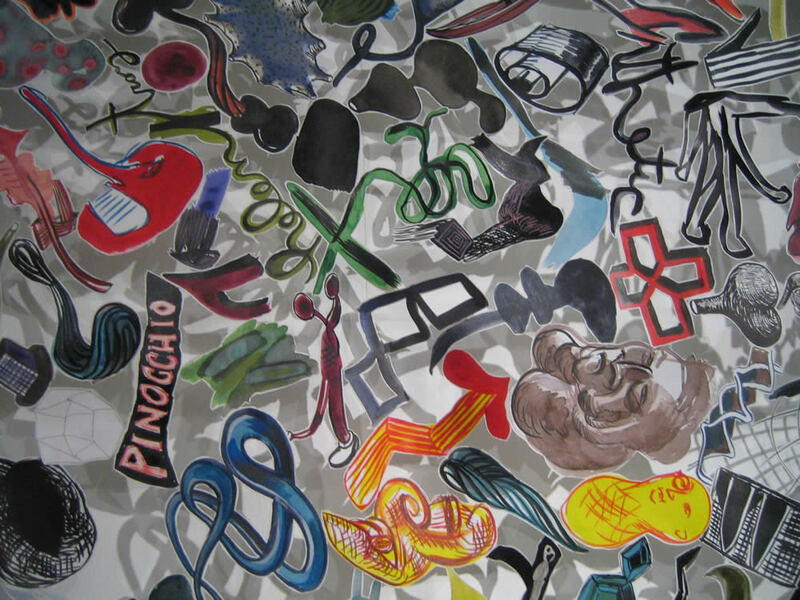 Many of the artworks on display fit one or more of these aspects. Additionally, there was an effort to connect the show with the surrounding urban community through partnerships with the city and local organizations. 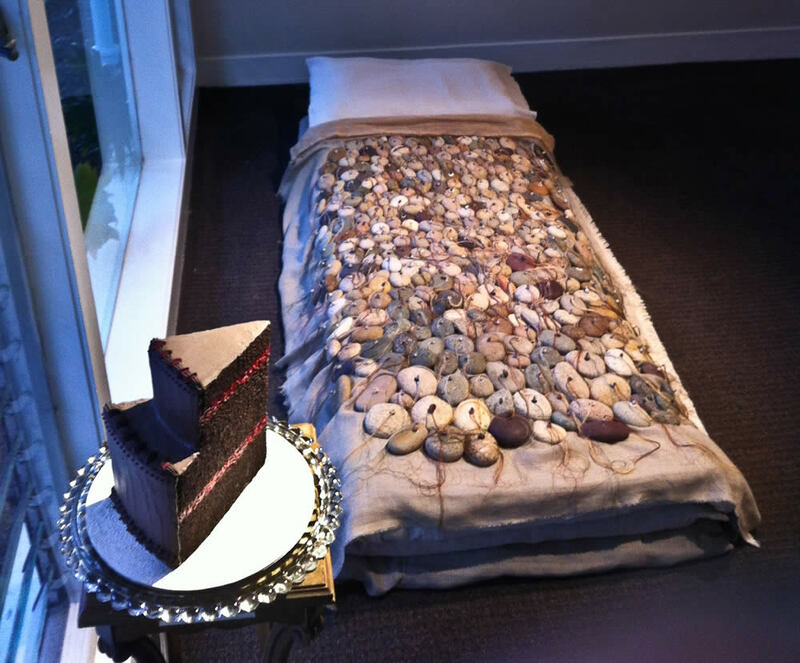 Each participating gallery or organization occupied a hotel room, turning it into an exhibition space. 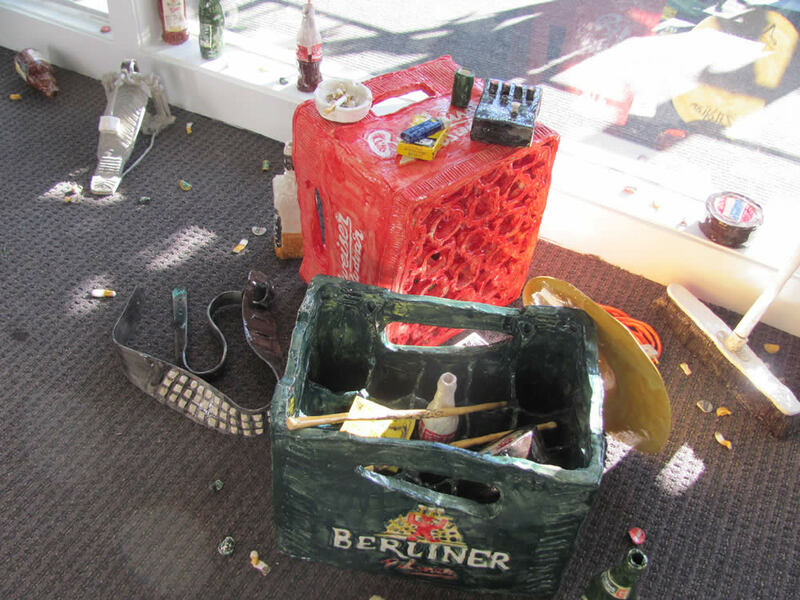 For the most part, this meant emptying the room of its furniture and using it as a small gallery. But many of the participants found inventive ways to make use of the hotel room's features, including closets and the bathrooms. Perhaps the most original (and conceptual) use of the space was the special project presented by James Mitchell Perley and Elaine Lima. This site-specific piece turned the hotel room into a…hotel room, with the artists filling it with their own furniture and decor selections. 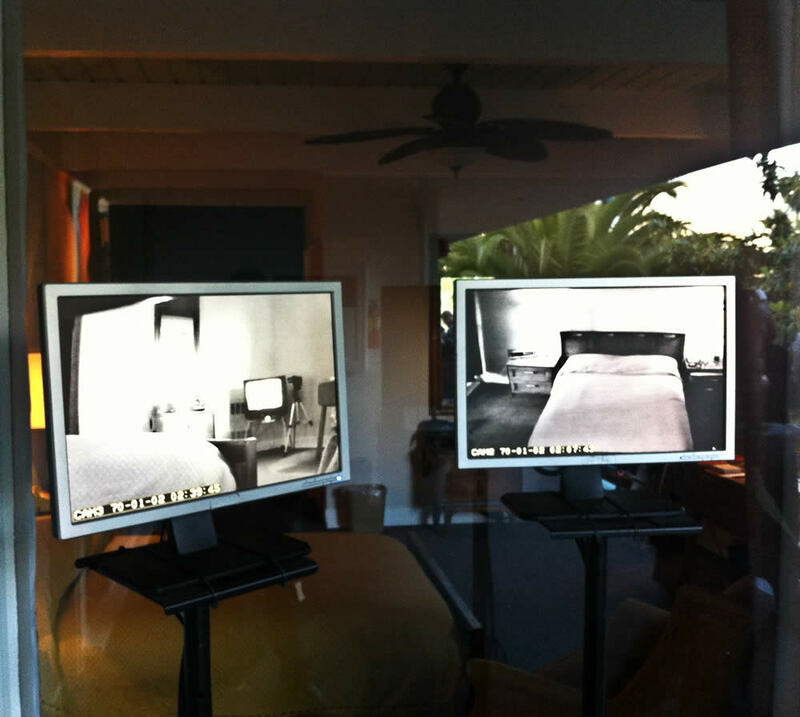 But this hotel room was augmented with cameras and video. The interior featured acted scenes portraying the sexual innuendo associated with "hotel rooms" in stark realism. But the true voyeuristic aspect is found on the video screens inside the room, showing visitors interacting with the visuals inside. 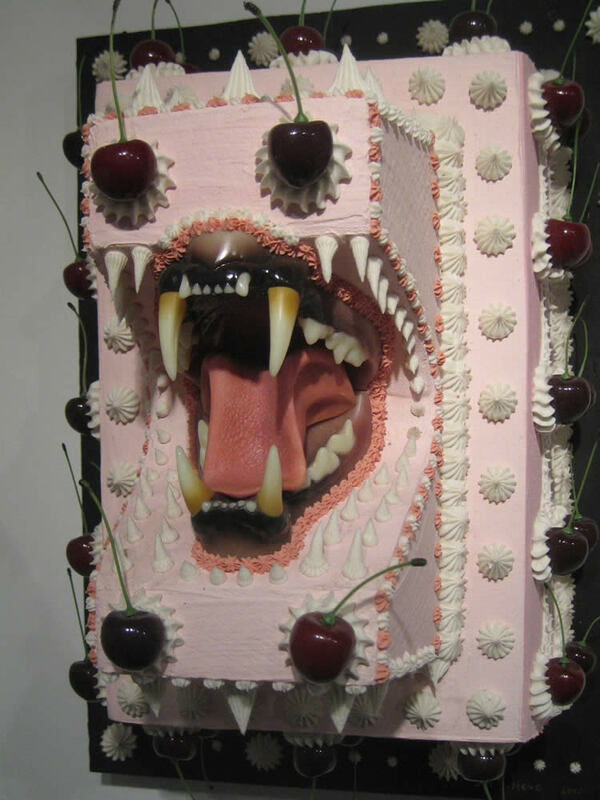 The piece is a tribute to George Kuchar who passed away last year and was featured in a posthumous retrospective at the San Francisco Art Institute, where Perley and Lima are MFA students. 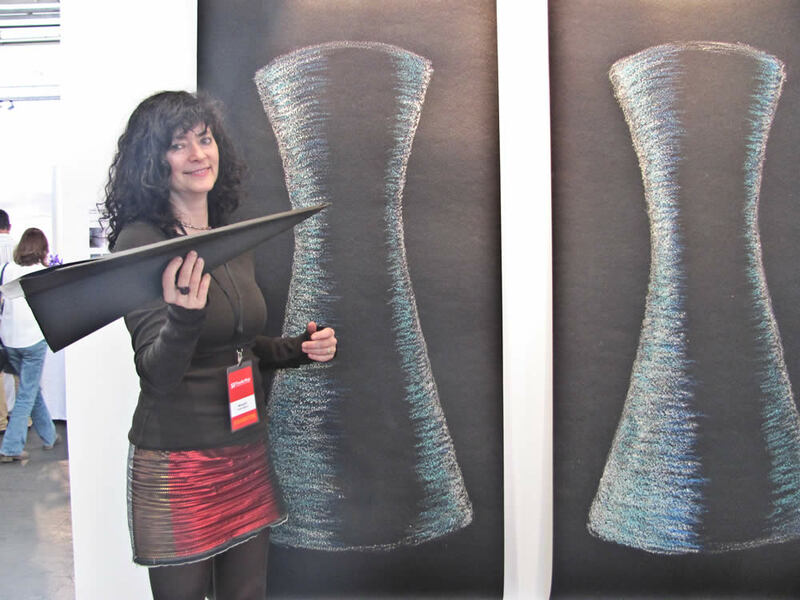 Galleries that participated in multiple art fairs selected specific artists and works that fit with the urban vibe. 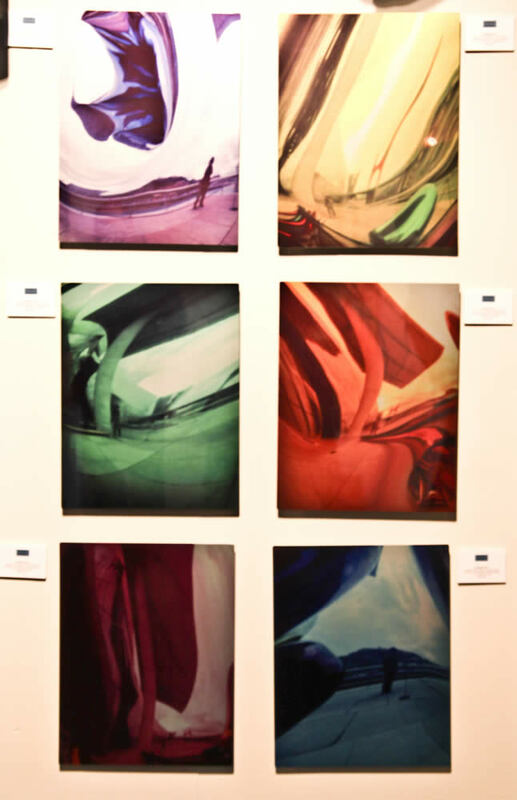 For example, the McLoughlin Gallery, which was also at Fort Mason, featured work by ESK (aka Evan Wilson) that takes elements of graffiti and street art and projects them into three dimensions. 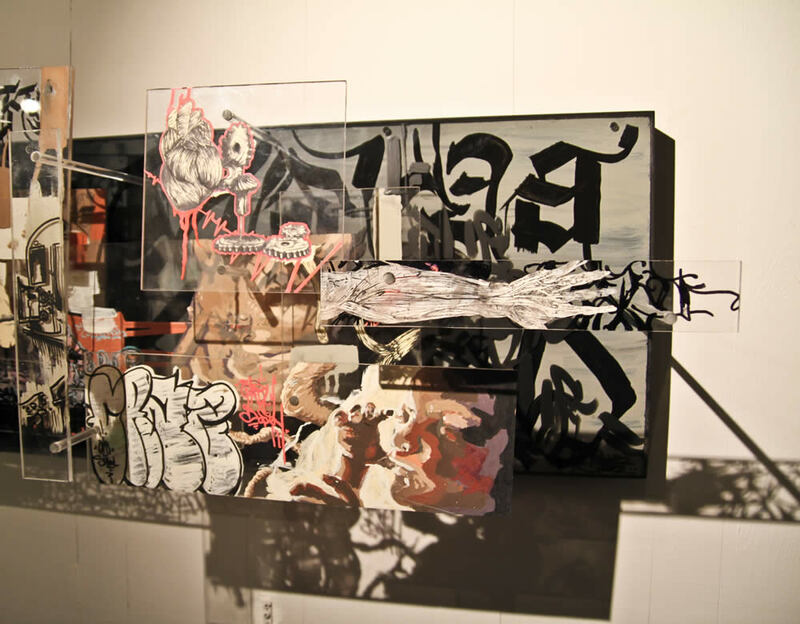 His mixed-media assemblages use translucent plexiglass panels to make his urban-inspired imagery pop out from the flat surface. 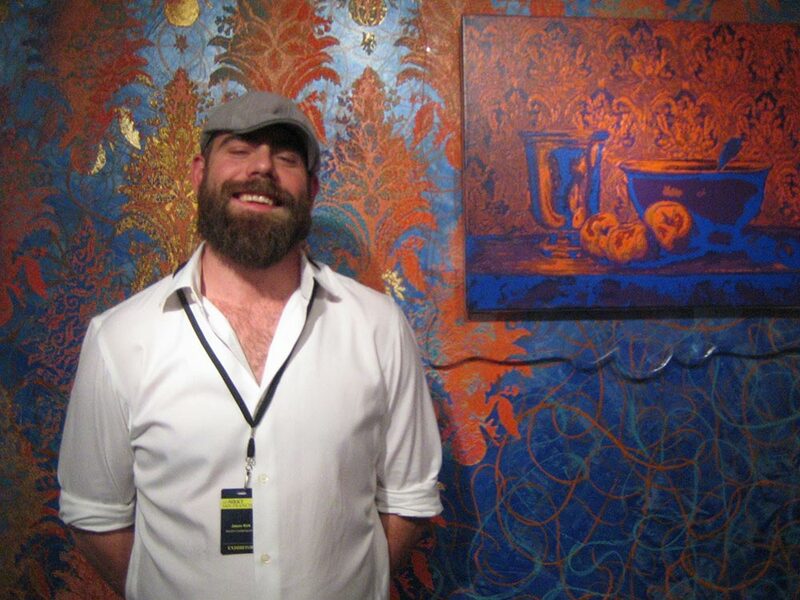 He also gives a sense of beauty to imagery and texture often associated with urban decay. 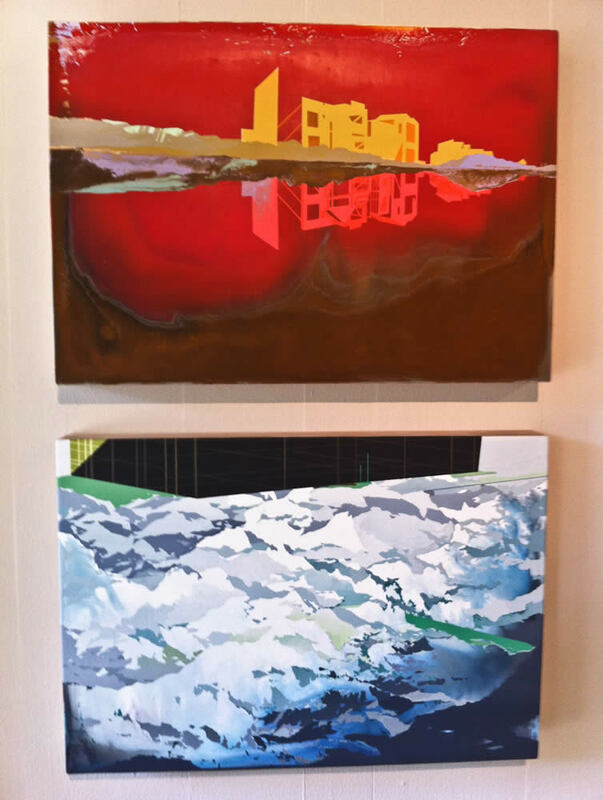 Another direct interpretation of the urban landscape could be found in William Swanson's pieces at Marx & Zavattero. His large and colorful acrylic panels fuse futuristic architecture with the straight lines and geometric shapes of International style and industrial construction sites with natural elements. Despite the bleakness and conflict implied in Swanson's artist statement, these images had a hopeful quality. Some of the exhibitors geared their offerings towards the cultural rather than the architectural or visual aspects of the urban landscape. 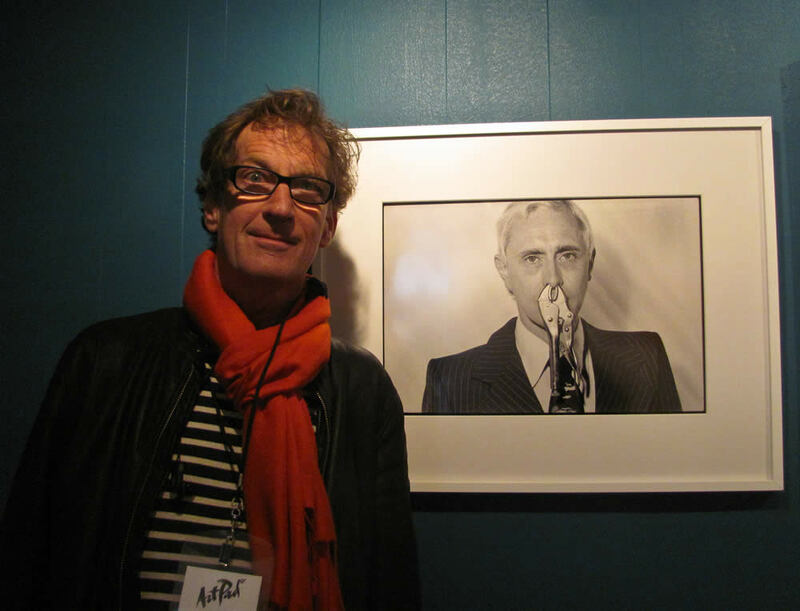 Denver-based Carmen Wiedenhoeft presented works by photography Richard Peterson who photographed San Francisco's early punk scene. Here we see images of Bruce Conner, Patti Smith, the Ramones and others. Zackary Drucker's photographs and video pieces, presented by Los-Angeles-based Luis de Jesus Gallery explored gender and self-identity, and in particular the artist's own transgender identity. Her pieces ranged from pretty to quite provocative. And there is a sense of humor in her work, particularly the self-portrait doormat casually placed at the entrance to the room. 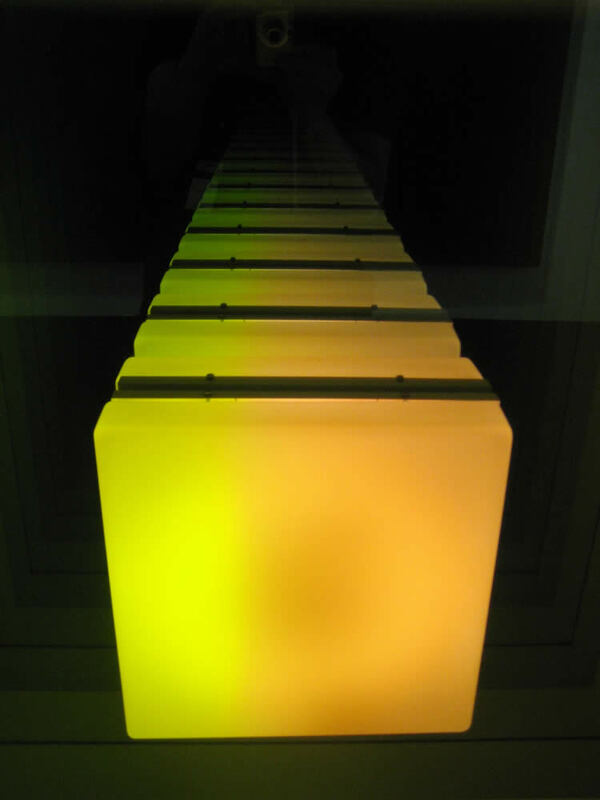 Oliver DiCicco’s kinetic sound sculpture was graceful and architectural in appearance, and its sound and motion was quite captivating. 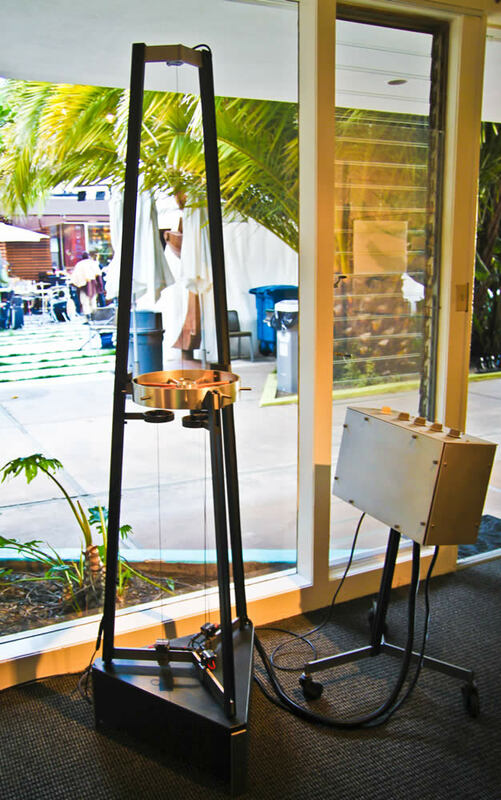 The controls set magnets into motion and generated low rumbly vibrations that grew in volume and intensity over time. This was a piece that required some patience to fully appreciate, but it was worth the wait. 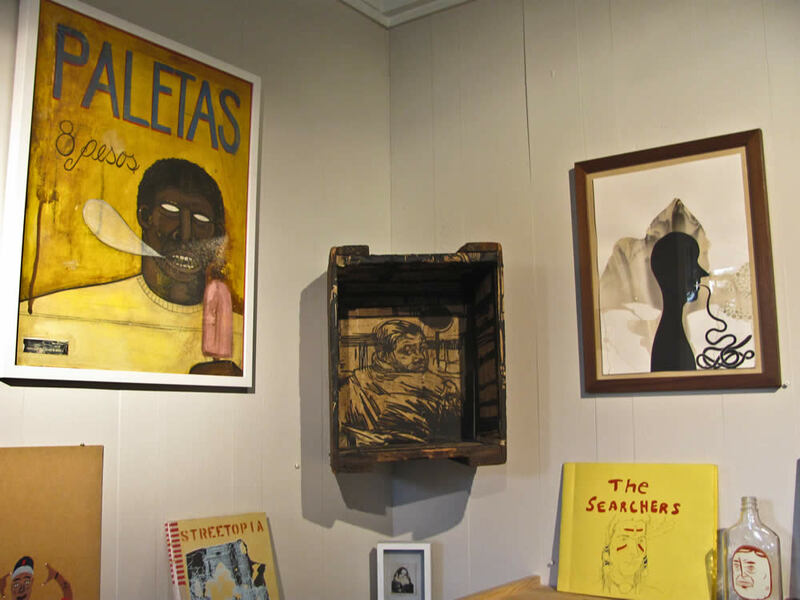 Longtime denizens of the mid-Market neighborhood, the Luggage Store Gallery, were on hand, with samples from their STREETOPIA show along with pieces from previous exhibitions. The Black Rock Art Foundation, who are also based in the same neighborhood, returned this year with photography from Burning Man as well as sculptural and installation works. Several of our friends from across the bay were represented as well. Mercury 20, an artist-run collective gallery in Oakland's Telegraph Avenue corridor featured works by several of its member artists, including this sculpture by Leah Markos. Throughout the event, I was pleased to see works like this that would challenge more traditional collectors. Perley and Lima's hotel-room installation was perhaps the most conceptual and challenging for a collection, but there were other exhibitors that did not shy away from showing more conceptual pieces, such as Rose Eken's "Enter Night" at Unspeakable Projects and Willie Cole's assemblages of women's shoes presented by Beta Pictoris from Birmingham, Alabama. My hope is that these more conceptual works can be part of the "art fair" function of the art fair, pieces seriously considered by collectors who can care for them and share them. Other galleries that did not directly feature art routed in the urban landscape nonetheless presented selections that reflected aspects of it. 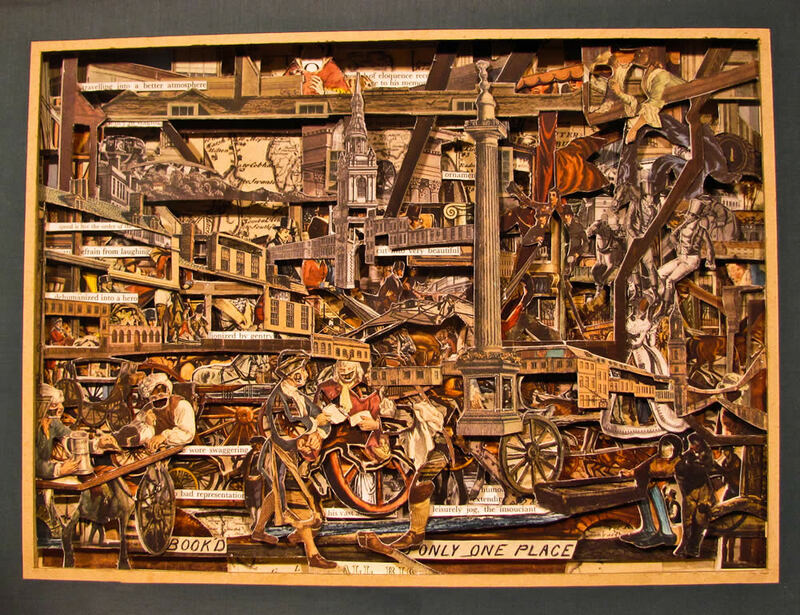 Toomey Tourell featured several artists including Brian Dettmer whose intricate pieces carved from books suggested complex building from another world or time. This was in sharp contrast to Elizabeth Sher's colored abstract rectangles, which suggested curving modern landscapes. At first glance, the colors dominate the pieces, but then on review and curving shapes come to the forefront. So what is the purpose of attending an event like ArtPadSF? At its core, it is still an art fair, a business function that provides participating galleries with opportunities for exposure and sales. 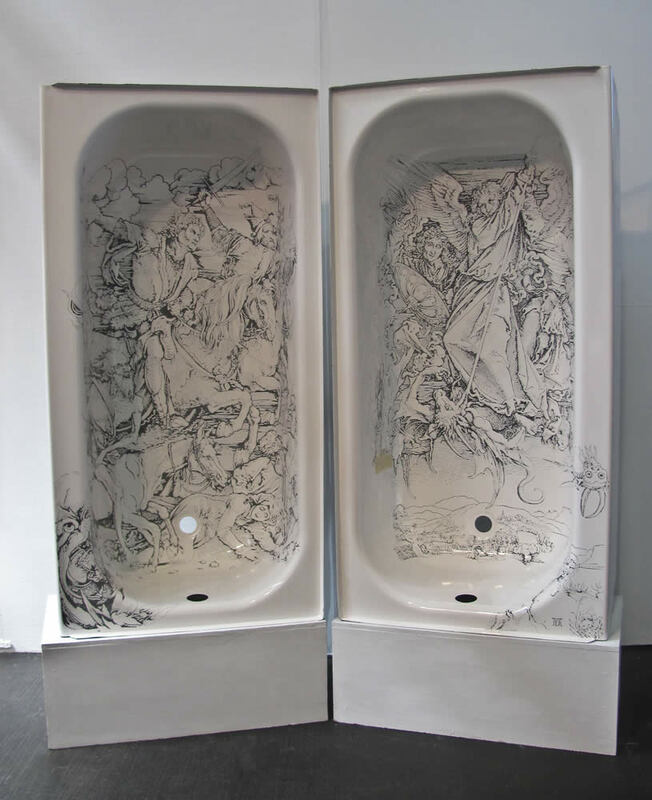 For visitors, it provides the experience of a large amount of art in a concentrated space. 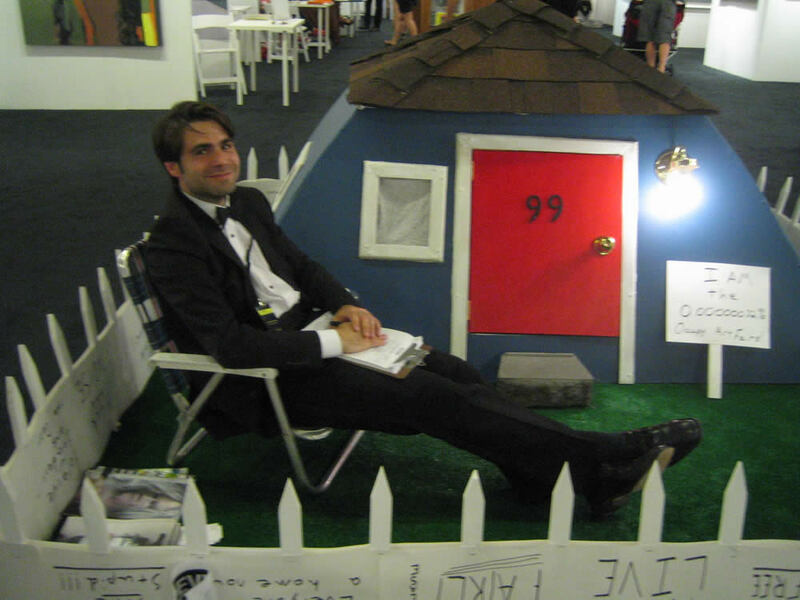 ArtPadSF was smaller than the other fairs, and its scale, inclusion of edgier artwork, poolside setting and urban theme made it a unique experience. However, this is not to say that there was not interesting and different art to see at the larger fairs as well. 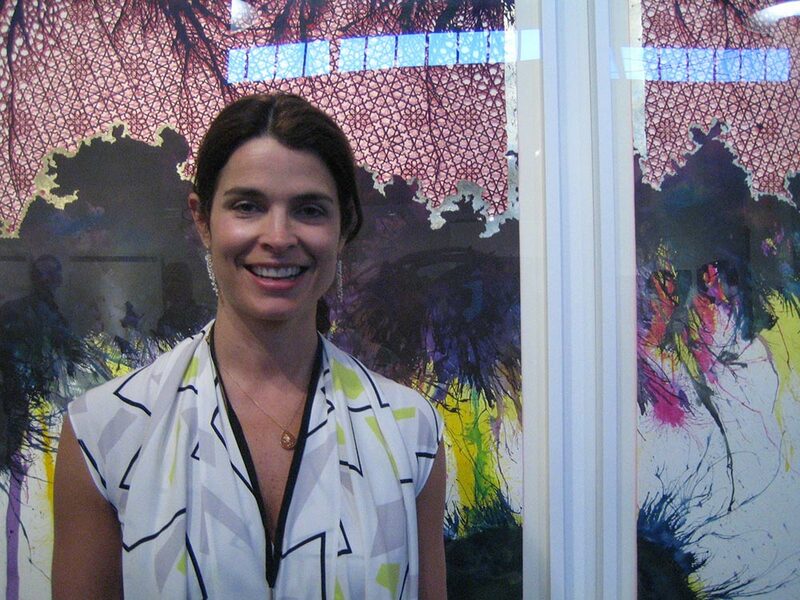 In the following section, we explore some of the sights of the San Francisco Fine Art Fair and ArtMRKT through images. Trophy (2007), Scott Hove, Acrylic and Mixed Media on Polyurethane Foam, 18"x15"x16"
Nightwatch, Yossi Govrin; Hemp, Cement, Antique Chandelier, 85" x 15" x 15". 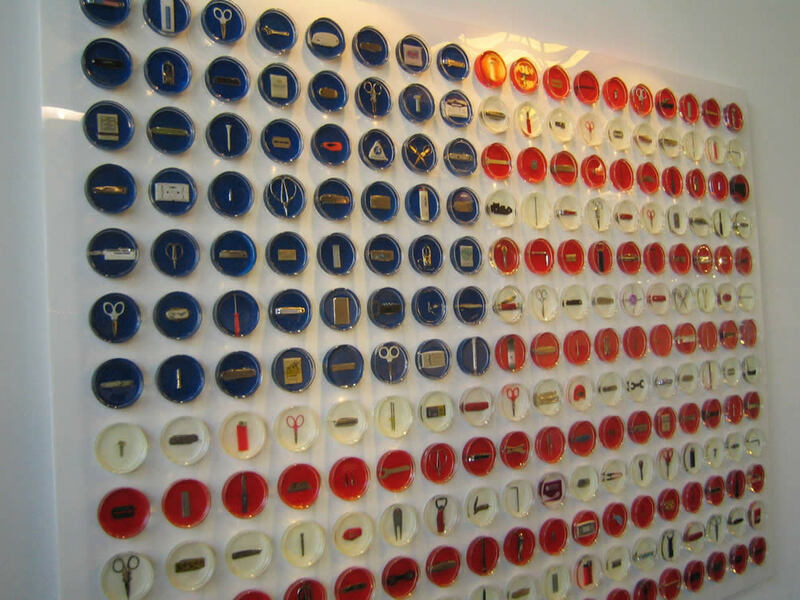 Timothy Yarger Fine Art, Beverly Hills, CA. Bryan Cunningham. 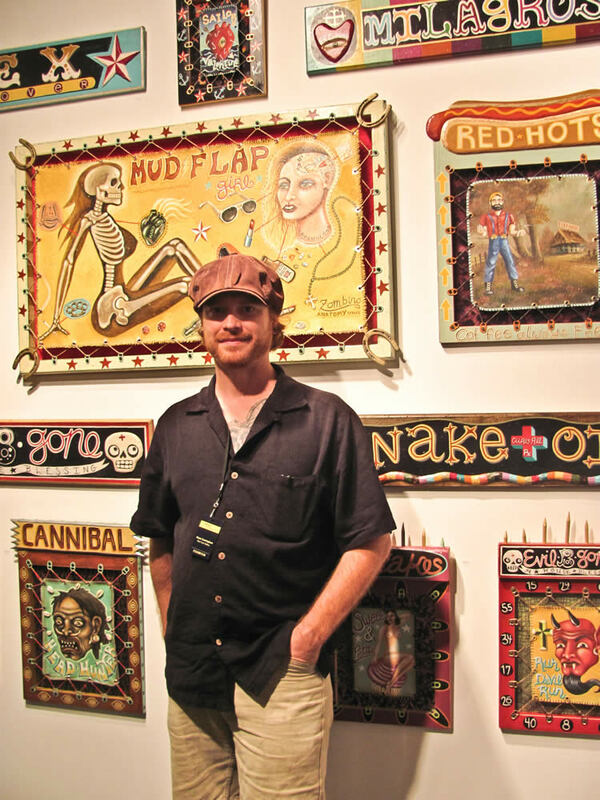 Red Truck Gallery, New Orleans, LA. 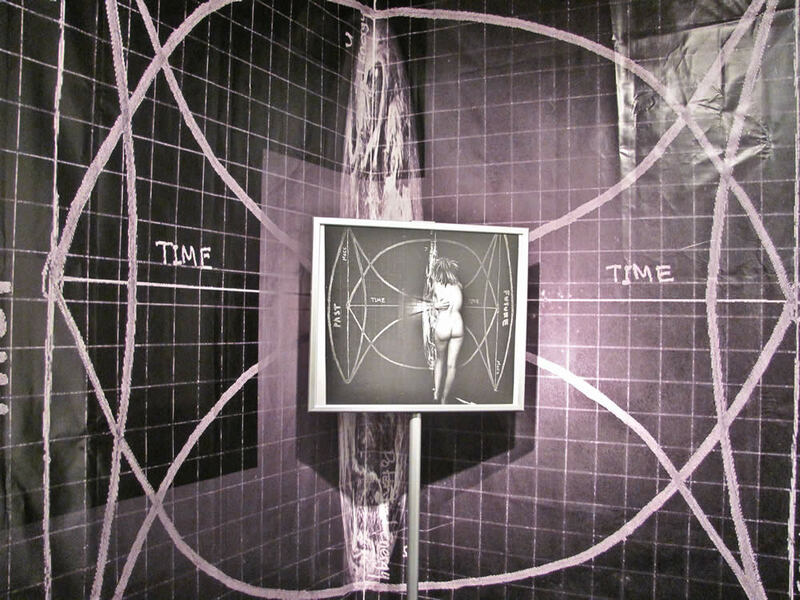 Map of Astrophysics and Cosmology I Want to Hold and be Held by One (2011), Thomas Macker, Type-C Print, 24" x 30". gallery km, Santa Monica, CA. Amar writes regularly about art and music in the Bay Area and blogs at catsynth.com. After sixteen years of publication, the granddaddy of online art magazines has decided to call it quits. Yesterday, Artnet magazine shut down with a message explaining that it had always been a money-loser and it was time to move on. Read Jerry Saltz's tribute here. We'll miss you Artnet.